We continue our study of the above by examining the usefulness of substantial – insubstantial in the control of our balance. We continue to stand upright with both feet together whilst mentally separating our body into a substantial half and an insubstantial half. 1. Imagine there is a stone pillar on your right hand side. 2. Use your intention to command your body to gentle and subtly lean onto it. 3. 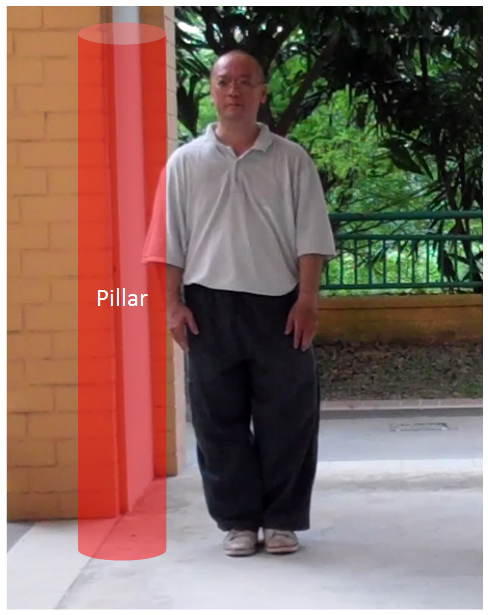 Use the pillar to help you adjust your balance until it is entirely on your right foot. Your left foot should feel very light. In the internal styles of Chinese martial arts the control of balance is very important. In order to have a firm grasp of balance manipulation the study of the use of single leg balance is essential. So if you want to Master Tai Chi Today do not ignore this exercise. This entry was posted in Form, Intention, Learn Tai Chi, Learning, Structure, Wei Shuren, Zen and tagged learntaichi, taichi, taichichuan, taiji, taijiquan, weishuren, yang style, Zen by Mushin. Bookmark the permalink.